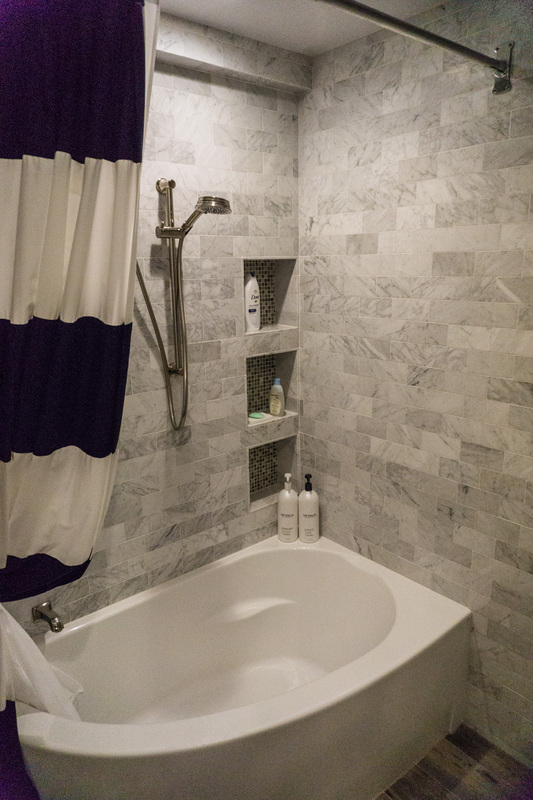 Also Used Was the Neptune Curved Shower Curtain Rod that Matches the Contour of this Tub. 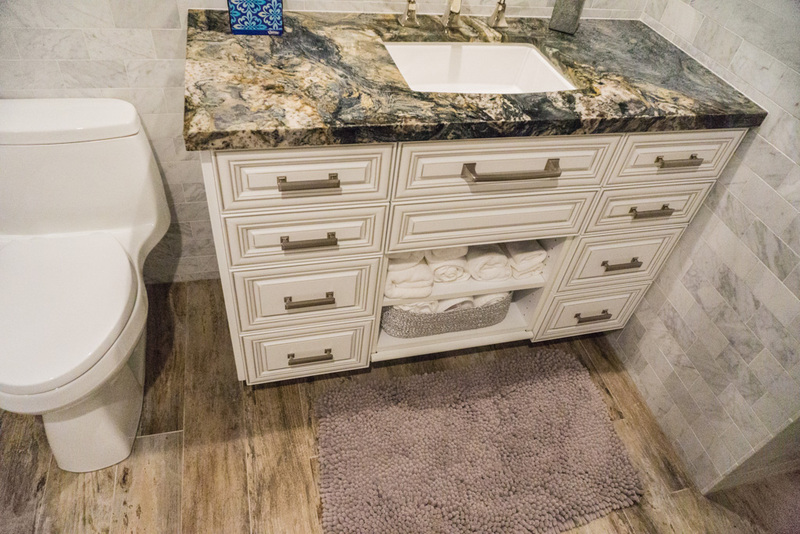 The middle bath with the Wind tub by Neptune is a very unusually shaped tub. 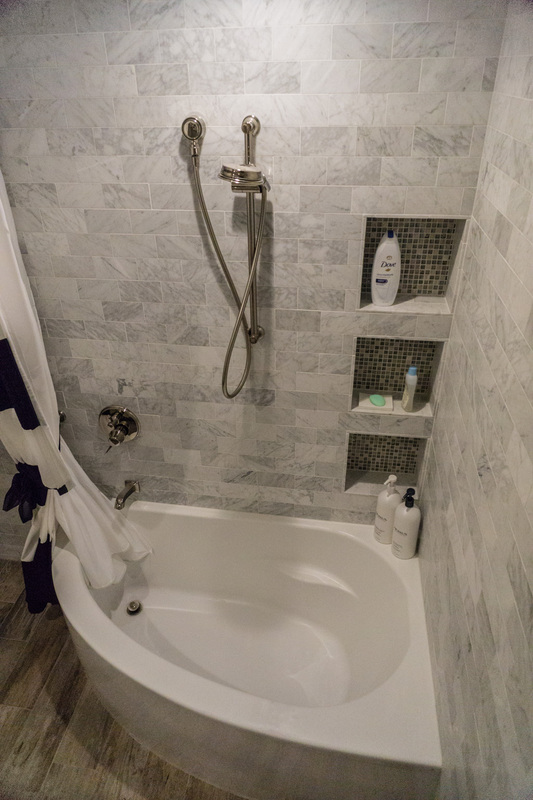 The shape of that tub, in my opinion, is the only thing that made the space viable for this room to house a full bath with tub, which was imperative because of very young grandkids. 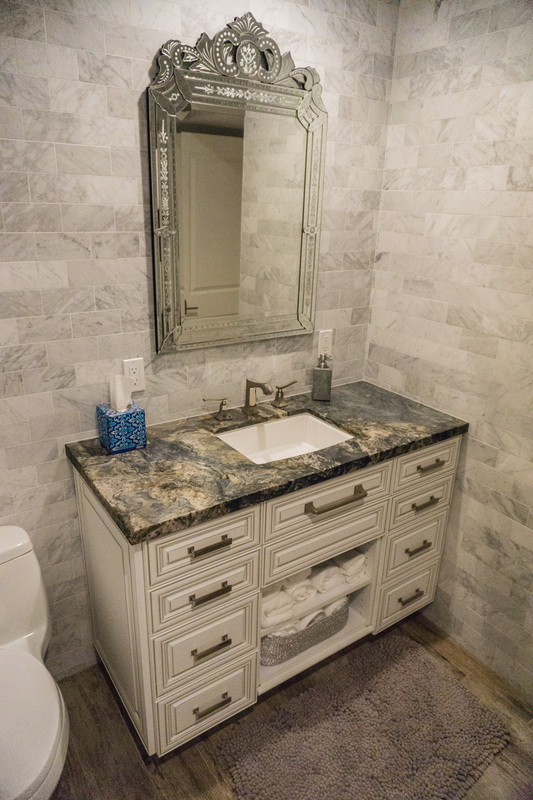 You will see this same tub in other projects in similar unusually shaped rooms. 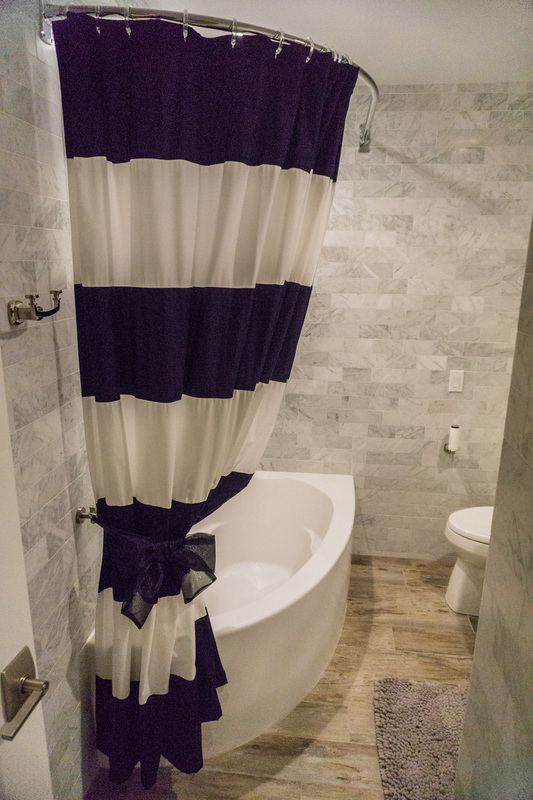 It is my go-to tub for rooms like this. 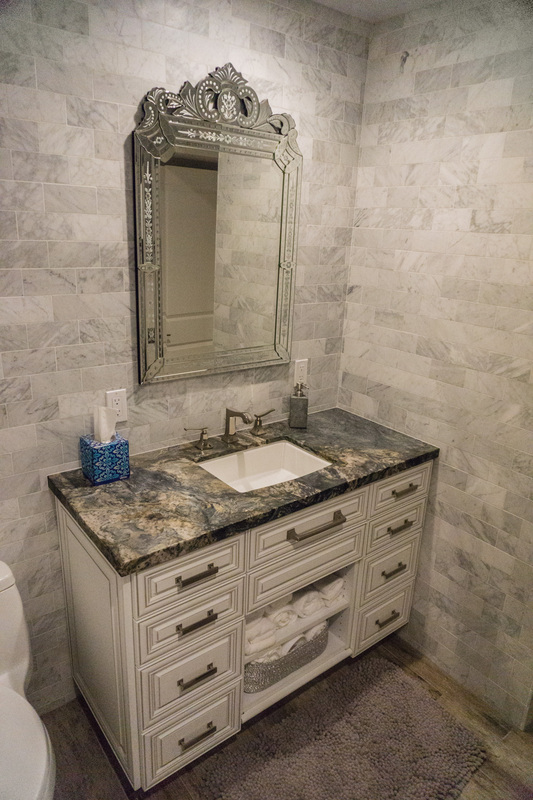 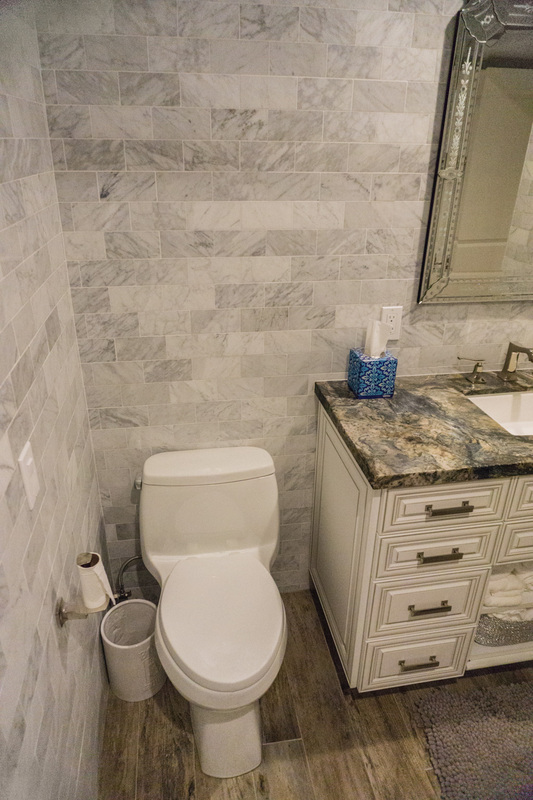 The client chose floor-to-ceiling subway style 3 x 6 carrara marble tiles for the entire room, creating a very clean and simple look that’s very different than the master or the other downstairs bath. 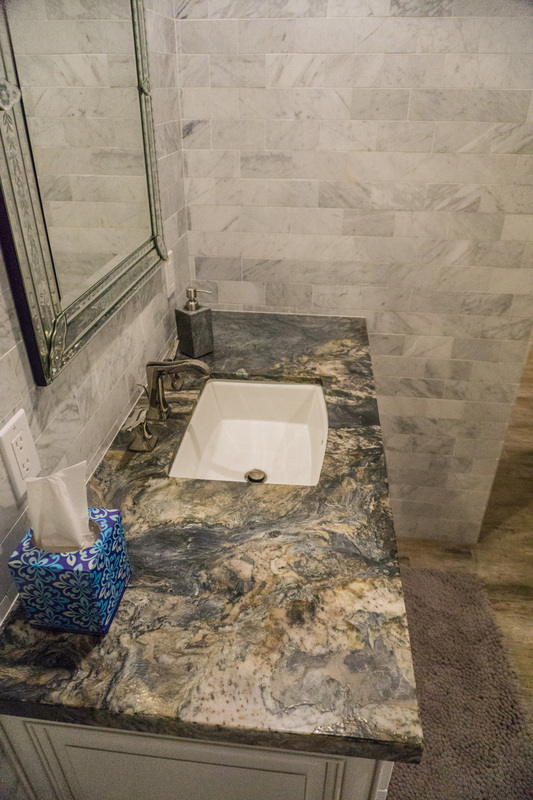 Please note the pull-out step in front of the sink to make it more easily accessible by young children. 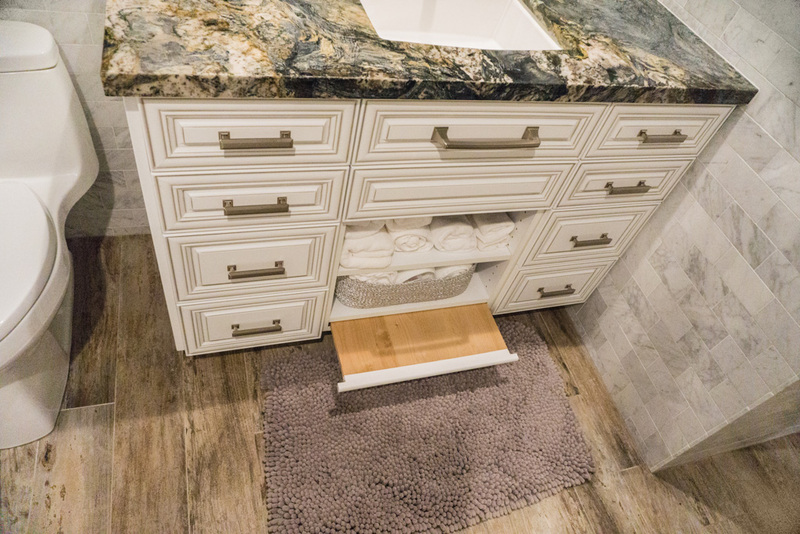 This bath is the only one in the residence missing the storage recommendations of my functional bath concepts.